A statement from a Ring spokesperson reads: "We take the privacy and security of our customers’ personal information extremely seriously. In order to improve our service, we view and annotate certain Ring video recordings." "These recordings are sourced exclusively from publicly shared Ring videos from the Neighbors app (in accordance with our terms of service), and from a small fraction of Ring users who have provided their explicit written consent to allow us to access and utilize their videos for such purposes. Ring employees do not have access to livestreams from Ring products." The new Ring Door View Cam launched at this year's CES show. The spokesperson went on to say that" We have strict policies in place for all our team members. We implement systems to restrict and audit access to information. We hold our team members to a high ethical standard and anyone in violation of our policies faces discipline, including termination and potential legal and criminal penalties." "In addition, we have zero tolerance for abuse of our systems and if we find bad actors who have engaged in this behavior, we will take swift action against them." 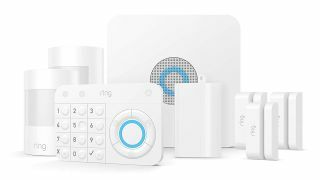 Ring also hasn't shed any light on the claims that Ring employees only needed a customers' email address to gain access to their camera feed.